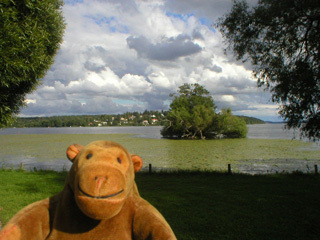 "You can never really trust water, you know"
Mr Monkey scampered down to the shore of Lake Mälaren, and looked across the lake. Very sensibly, he avoided getting too close to the water. Lake Mälaren, the third largest lake in Sweden, used to be part of the Baltic Sea, and parts of it are 64 metres deep. 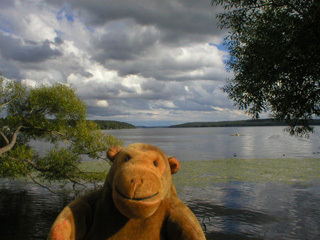 Mr Monkey didn't think he should test the depth of the bits of lake near him, and decided to scamper away from the water.